Daniel Libeskind is one of the most prominent and successful architects today. He is a founder and principal architect of the Libeskind Studio (New York, USA). An international figure in architecture and urban design, Daniel Libeskind is renowned for his ability to evoke cultural memory in buildings. Informed by a deep commitment to music, philosophy, literature, and poetry, Mr. Libeskind aims to create architecture that is resonant, unique and sustainable. In 1989, Mr. Libeskind won the international competition to build the Jewish Museum in Berlin. He moved to Berlin and devoted more than a decade to the completion of this seminal design. A series of influential museum commissions followed. These include the Felix Nussbaum Haus in Osnabrück, the Imperial War Museum North in Manchester, the Denver Art Museum, the Contemporary Jewish Museum in San Francisco, the Danish Jewish Museum, the Royal Ontario Museum and the Military History Museum in Dresden. In 2003, Libeskind won the competition to be the master plan architect for the reconstruction of the World Trade Center in Lower Manhattan. This plan is being realized today. Daniel Libeskind speaks widely on the art of architecture at universities and professional summits. His architecture and ideas have been the subject of many articles and exhibitions, influencing the field of architecture and the development of cities and culture. 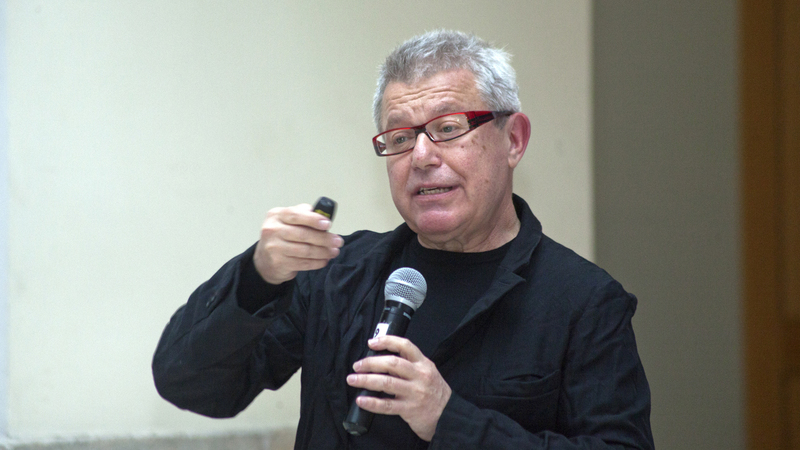 On 19 April 2015 Daniel Libeskind delivered Language of Places lecture at the General Staff Building of the State Hermitage Museum.